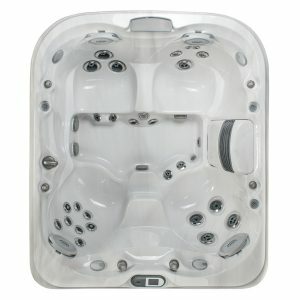 Spa Volume: 410 US gal. 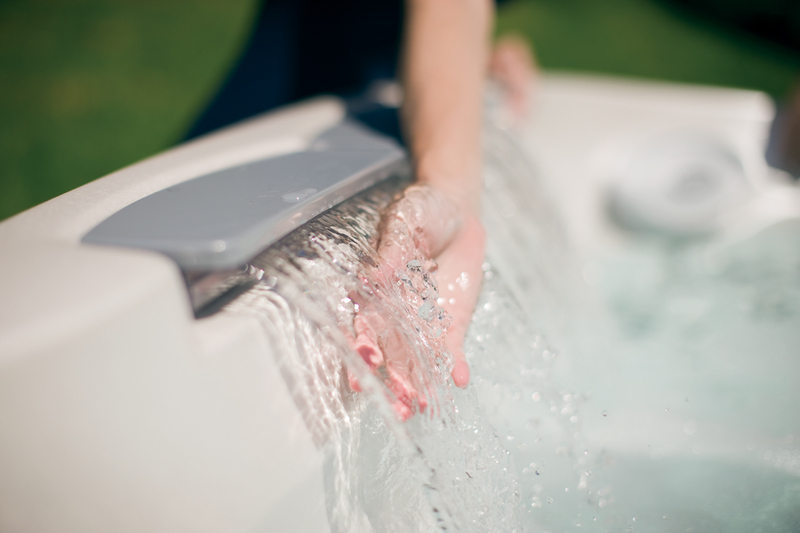 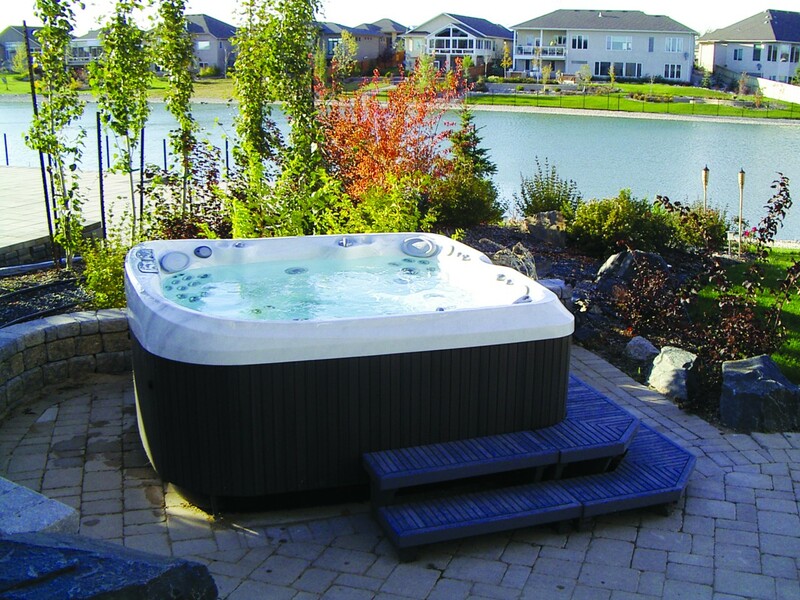 Outdoor Hot Tubs – With a J-465™ hot tub in the backyard, you’re never far from outdoor fun. 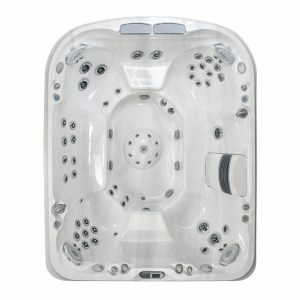  It’s perfect for a party, or relaxing alone. 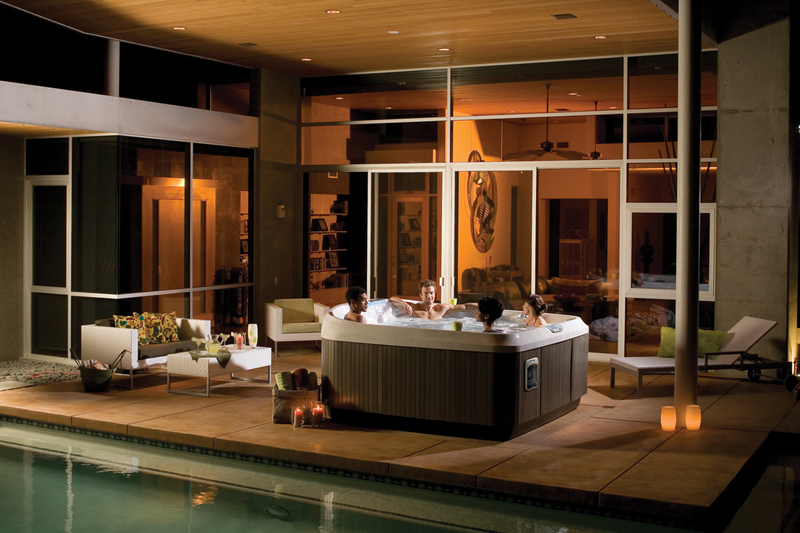 Stretch out in this spa’s full-size lounge that goes to great lengths to reach your entire body. 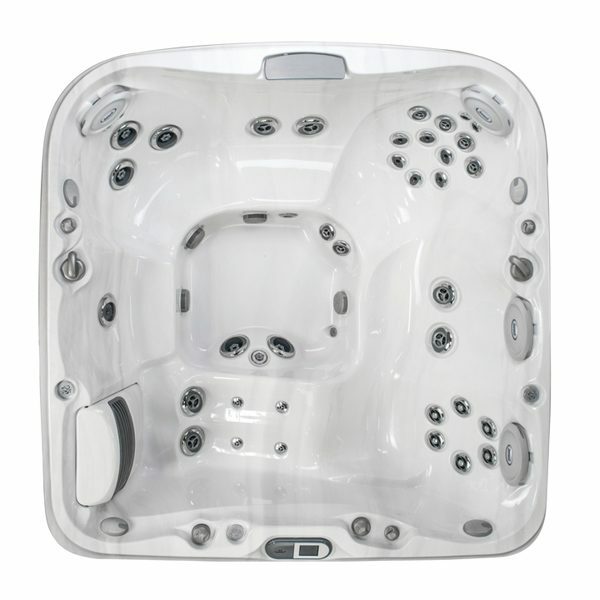 Adjust the pillows and settle into the intimacy of side-by-side seating in this stunning spa. 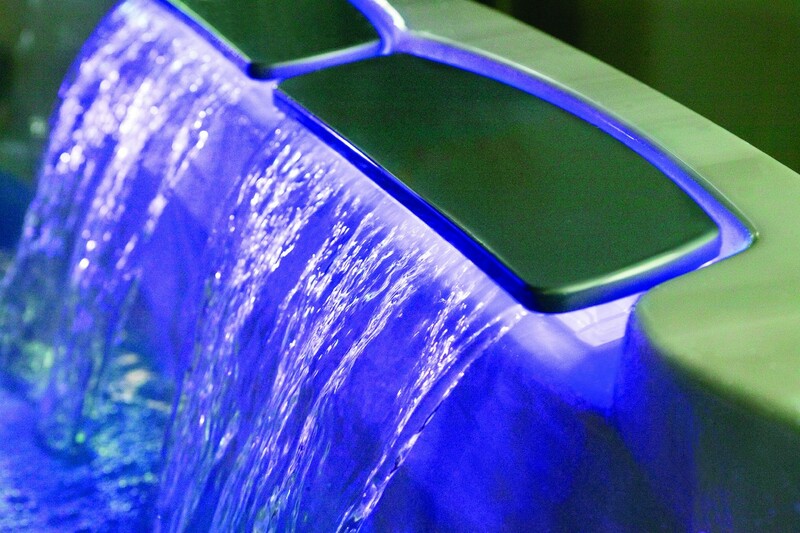 The WaterColour™ waterfall and the effervescent IX jet cast a glow over the scene at night, and illuminate the curves of the spa. 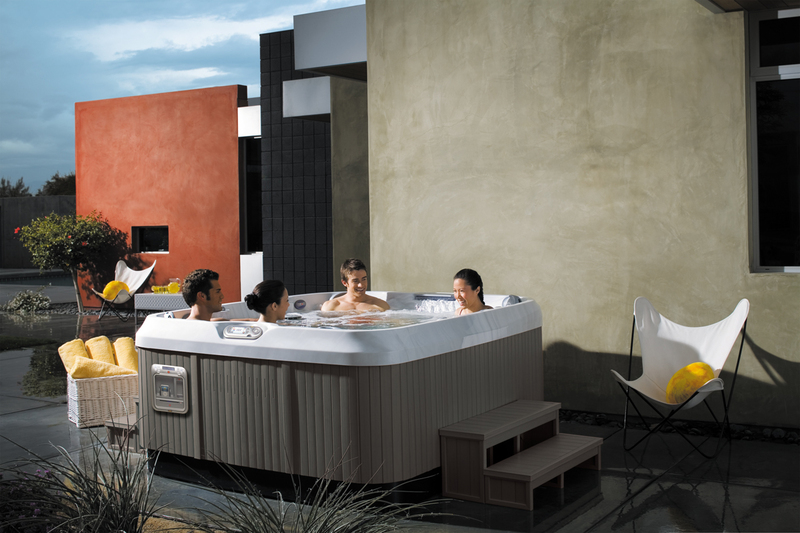 The J-465 adds natural beauty to any backyard. 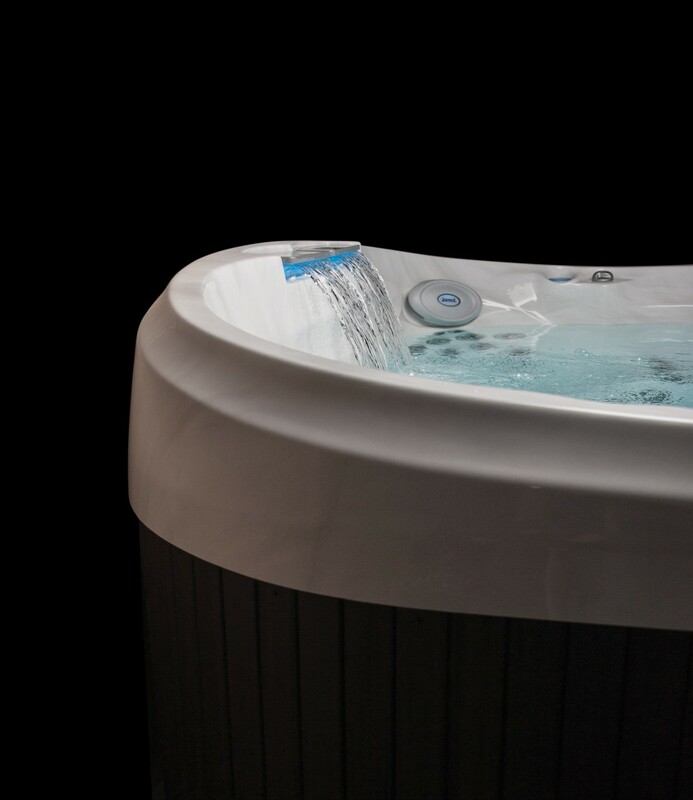 Like all the spas in the Jacuzzi Hot Tubs J-400 Collection, the new J-465 hot tub features a choice of color palettes for shells and cabinetry, each designed to blend with your outdoor landscape and complement your home’s exterior. 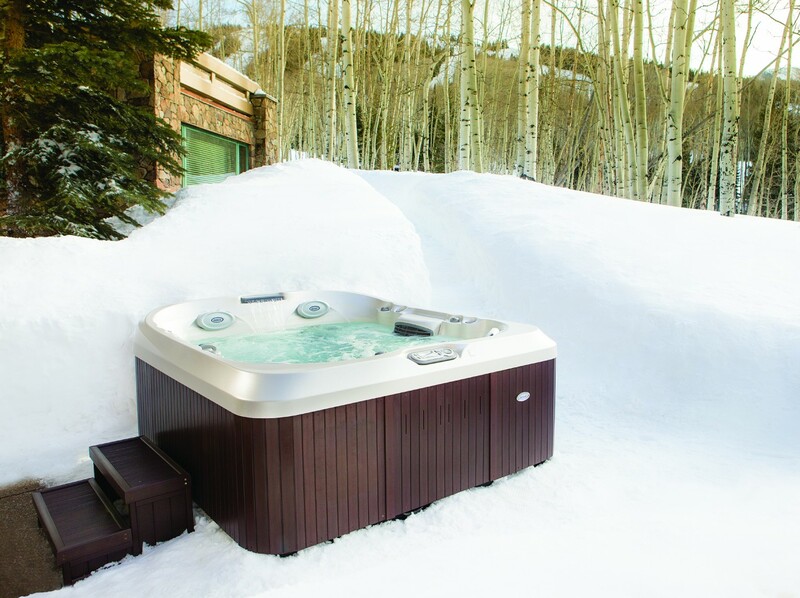 Roasted Chestnut, the newest natural wood color in the Jacuzzi line of ProEndure™ UV-resistant hot tub cabinetry, adds a rich, deep-brown option to the line. 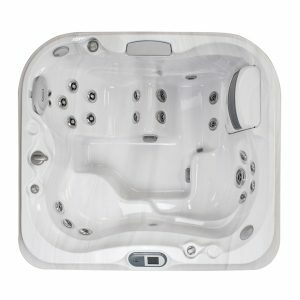 Presenting more rotational PowerPro® Jets and a distinct high-back silhouette, the J-400™ Collection delivers an elegant design coupled with a superior hydro-massage.